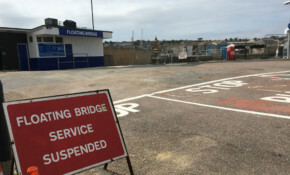 School children and workers are late to school and work this morning as the Cowes Floating Bridge "fails at the most important time of day", says Councillor Love. Watch out for the diversion as the road closure is necessary due to emergency works to fell a dangerous tree. The roadworks will be undertaken at a time when the coastal weather shouldn't hamper too much with the schedule, allowing work to be completed before the May Bank Holidays. The survey which is due to close on Friday 1st March invites the public to rate Island Roads’ performance on many aspects of its work from road surfacing and maintenance to street cleansing, verge and grass cutting and its customer service operations. Mainland councils predicting traffic misery at ports in no-deal Brexit plans. What about IWC? Portsmouth and Southampton ports are the key gateways to the Isle of Wight. Mainland council are discussing their no-deal Brexit plans exposing predicted issues. Why are IWC silent?